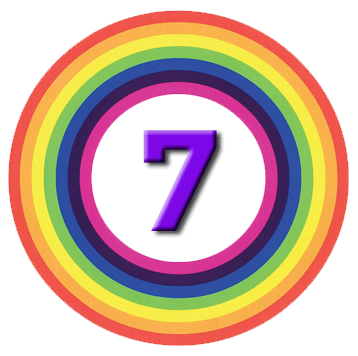 In this post I will review the performance of my portfolio over the last twelve months. The value of the portfolio increased by 10.5% over the calendar year. 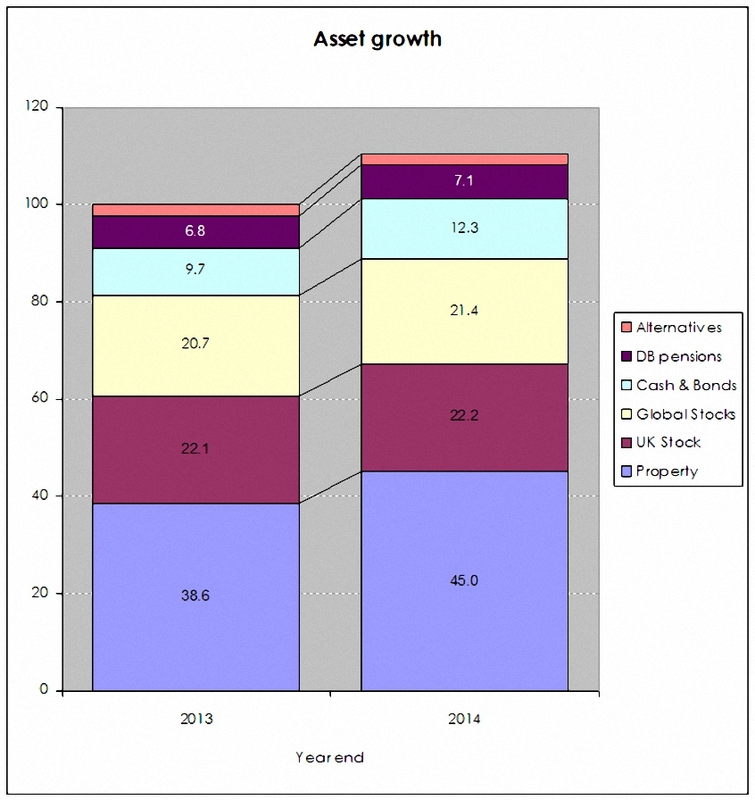 Net of 0.6% of new money, the underlying increase was 9.9%. This compares well to the benchmark target of 4.2%. 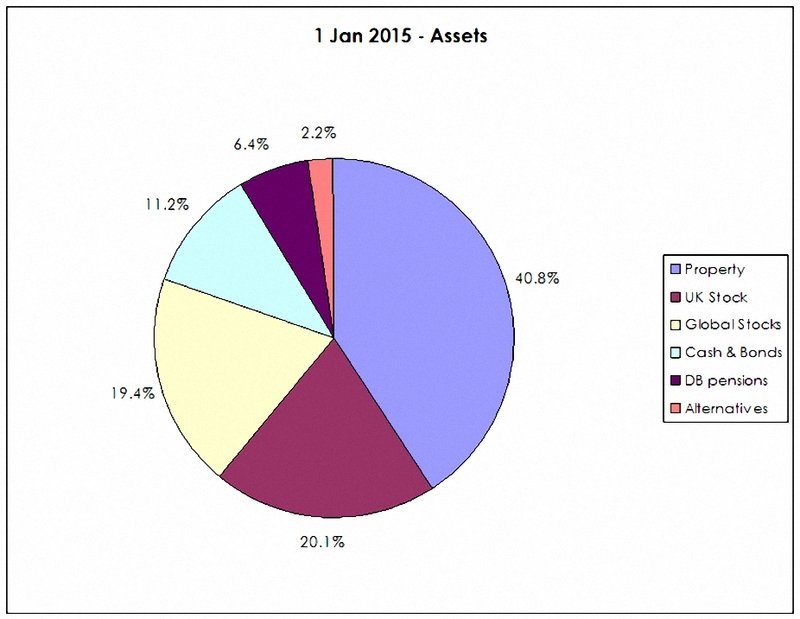 After correcting for cash flows between asset types (see below), property was the star performer, but both UK and international equities also outperformed. Cash underperformed, largely because a significant proportion of this is held in SIPP accounts which are not interest bearing. This in turn is because I will able to take a tax-free cash lump sum from these SIPPs within the next year. The extreme growth in London property prices over the last few years means that property has now overtaken equities as the largest asset class (41% vs 40%). The remainder is split between cash & bonds, defined-benefit pensions and alternative investments (commodities, hedge funds etc). The high property weighting is unlikely to change in the foreseeable future, unless there is a crash in London property prices. There were no significant changes in the asset mix other than the increase in cash to prepare for the withdrawal of the tax-free lump sum. 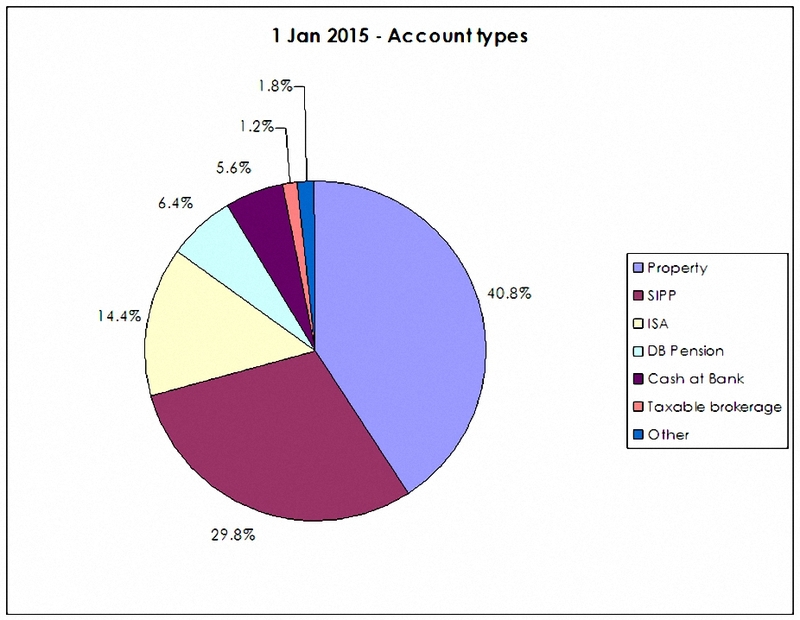 Along with 41% of property, 44% of the portfolio is in tax-sheltered accounts (SIPPs and ISAs). The taxable portion is around 8%, mostly in cash.1 The “other” category in this chart includes NS&I bonds, VCTs and an endowment policy. 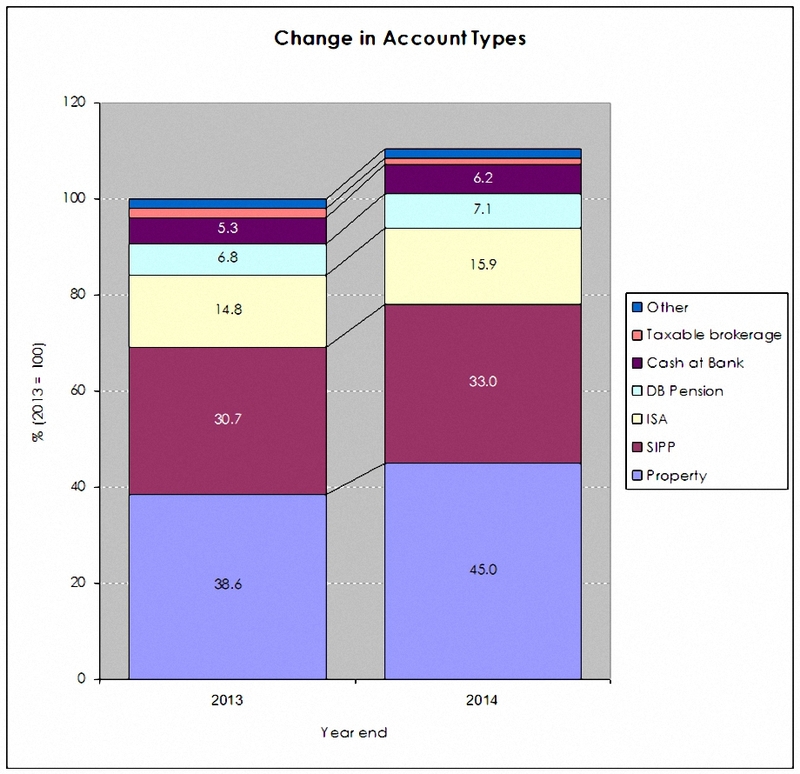 The main movement between account types was a reduction in the taxable brokerage accounts to fund SIPPs and ISAs. Cash also rose slightly. Over the next few years, the cash, taxable brokerage and “other” amounts will reduce as these funds are gradually transferred into SIPPs and ISAs. It is better for the reputation to fail conventionally than to succeed unconventionally.